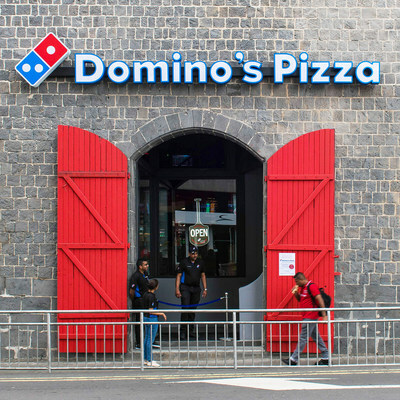 ANN ARBOR, Mich., Dec. 3, 2018 /PRNewswire/ — Domino’s Pizza (NYSE: DPZ), the largest pizza company in the world based on global retail sales, is continuing its global growth momentum with the opening of its first store in Port Louis, Mauritius. This was accomplished through a partnership with local operator Island Living – the master franchisee for Mauritius. Domino’s is on a mission to bring the great pizza and excellent customer service of a renowned international brand to neighborhoods throughout Mauritius. The first location is in the center of Port Louis – Mauritius’ capital city – and features the new pizza theater design with an inviting and authentic interior, spacious seating, a kid’s corner, as well as a front row seat to watch all the action of pizza-making. A second location will open later this year in the heart of the Beau Bassin community – a great food hub for Mauritians.